Dragon Quest XI: Echoes of an Elusive Age has made its way on PC. 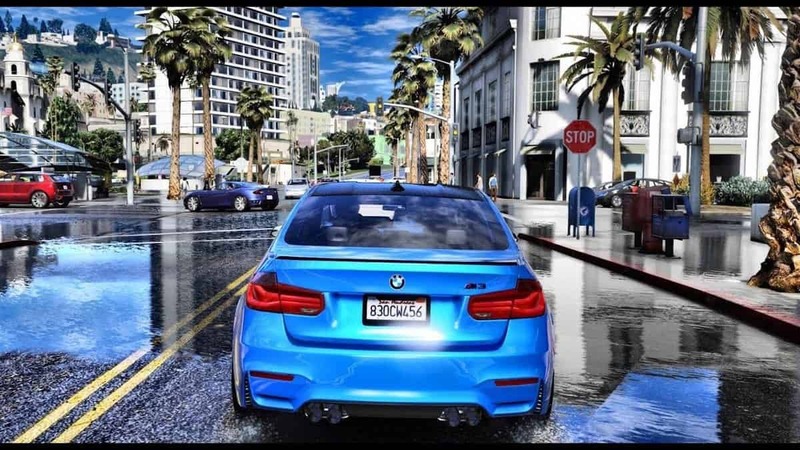 However, with so many configurations out there errors and issues are bound to pop up and players are experiencing issues like LowLevelFatalError, crash during cutscenes and more. Here we will compile a full list of Dragon Quest XI: Echoes of An Elusive Age errors and issues along with their fixes and workarounds so that players can enjoy the game to its fullest. 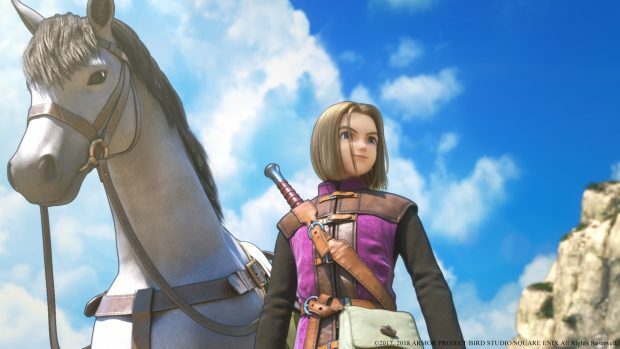 Dragon Quest XI: Echoes of an Elusive Age is the latest entry in the long-running Dragon Quest franchise. The game features a captivating single-player campaign with RPG mechanics. Before we delve into the errors and issues for the game make sure you meet the minimum and maximum requirements for the game. The following are the errors and issues that players have been experiencing with the game along with their possible fixes and workarounds. This is one of the Dragon Quest XI: Echoes of an Elusive Age issues that players are facing. According to players, the game doesn’t let them select their monitor’s native resolution which is greyed out and only gives options for the lower resolutions. The solution to this issue is pretty simple. All you need to do is set the game’s resolution that you desire through “GameSettings.ini”. Navigate to the game’s install folder>DQXI folder>saved>config>WindowsNoEditor and you will find the “GameSettings.ini” here. Open the file in notepad and manually input the resolution that you desire and save it. Also, you will need to manually input the resolution in more than one places in the “GameSettings.ini”, so you will have to explore a bit. The resolution you need to set will be “Desired resolution”, “LastUserConfirmedResolution” and “Resolution”. Now launch the game and it will run at the resolution that you have set, however, the resolution will still be greyed out in the options. Players have reported that the game crashes randomly during cutscenes and a “D3D Runtime error” pops up. The issue might be with your GPU. If it is overclocked then you need to bring it back to its stock clock speed and if not then you will need to lower clock speed than the stock ones. The reason for lowering the clock speed is that your GPU might be old or not capable of running the game at current clock speed. You can also avoid this error by locking the game at 30 FPS from the menu which will lower the GPU usage and the “D3D Runtime error” will not pop up again. Players have reported that the game crashes while loading which is one hell of a hurdle that doesn’t let them play the game. The fix for the crash is simple but it requires some work. Right click on “My Computer” or “This PC” and select properties. A window will open and you need to click on “Advanced System settings”. Click “Change” under “Virtual Memory”. Check “System managed size bubble”. Now Click “Set” and press Ok and restart the system. After the restart play the game should fine without any crash. Players have reported that while playing the game it ignores the language settings for Steam and forces the language settings of the OS. In short for many the game doesn’t run in English. The first thing you need to do is open steam right-click on the game and select properties. Select language and set it to the language that you want. Save and start the game. If this doesn’t work there is another way you can change the language. To change the game’s language to English all you have to do is navigate to “C:\Users\”user”\Documents\My Games\DRAGON QUEST XI\Saved\Config\WindowsNoEditor”. Here will be a file called “engine.ini”. Open it and add the following. Save the changes and start the game and you will notice that the game is running in English. Players have reported that when they start Dragon Quest XI, Steam goes into the Big Picture Mode which doesn’t allow them to use chat and Steam interface. The fix for this problem is simple as you only need to disable the Steam Big Picture mode. Go to Steam > Settings > In-Game > Uncheck “Use the Big Picture Overlay when using a Steam Input mapped enabled controller from the desktop”. Now start the game and the Steam Big Picture mode will not pop up again. Dragon Quest XI: Echoes of an Elusive Age is locked at 60 FPS and doesn’t officially support unlocked FPS. However, you can unlock the FPS and here is how. Go to the game’s install folder>DQXI folder>saved>config>WindowsNoEditor and open “GameSettings.ini” in notepad and find the following. It will be set on 60 and you just need to replace 60 with the FPS of your liking and save. This will allow you to play the game at unlocked FPS. This is another one of the Dragon Quest XI: Echoes of an Elusive Age error that is not letting gamers play the game. The issue might be with the game running in the Borderless windowed mode and you need to make the game run in Fullscreen. To do that navigate to “C:\Users\”user”\Documents\My Games\DRAGON QUEST XI\Saved\Config\WindowsNoEditor” and open “engine.ini” in notepad and set the game to fullscreen. Save changes and start the game and the error should not pop up again. Players have reported that they are experiencing Dragon Quest XI audio issues. Reportedly, there is a static in the audio all the time when they are playing the game. To fix this issue, open Playback Devices and select your active audio device and click on properties. Select the “Advanced” tab and there will be a list of options. You will need to do a bit of trial and error over here and one of the sample depth will fix the Static issue in the game’s audio. Black screen on startup is a common issue for PC games, however, it isn’t a critical one and the solution to fix this is very simple. Start the game and when the black screen appears, just press “ALT + Enter”. This will put the game in windowed mode and the game will start to display. Now go to the video settings and set the game’s resolution to your monitor’s native resolution and you will be able to play the game in fullscreen mode. Another reason for the black screen might be your outdated GPU drivers. Just update them to the latest version and the issue should resolve. Players have reported that they are unable to play the game with a controller. The fix for this problem is rather simple. Start the game without the controller and when you first save the game, exit and restart the game and use the controller which should be working. If this doesn’t work for you then right-click Steam > Settings > Controller > General Controller Settings > Checkmark Xbox/PS4 Configuration Support. This should make the controller work with the game. To make sure Dragon Quest XI: Echoes of an Elusive Age runs without stuttering and FPS drops, make sure there is no unnecessary process running in the background that might be using your CPU, HDD or GPU. Nvidia GTX 10 series and 900 series GPU owners can potentially boost the game’s FPS. Open Nvidia Control Panel and select “Manage 3D Settings” and then select “Program Settings”. Select the game from the list and in the options set V-sync to “Fast”. This will potentially boost your in-game FPS significantly. That is all for our Dragon Quest XI: Echoes of an Elusive Age errors and issues along with their fixes and workaround. Marvel’s Spider-Man Review Roundup: The Best Superhero Game Ever Released?